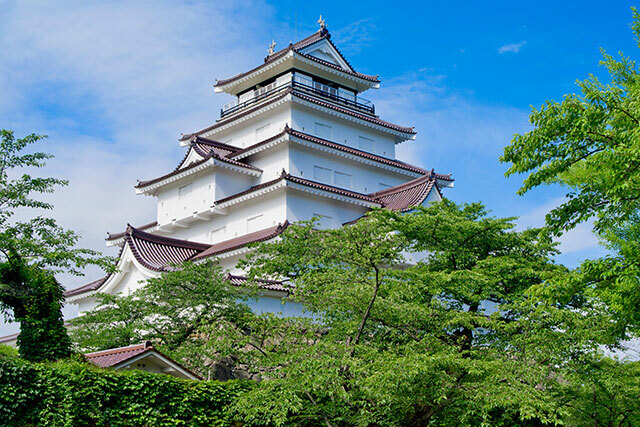 This route introduces the cityscape of Odaiba glimpsed from the seaside and the beautiful charms of Matsushima, nestled in nature, through a mixture of gourmet food, hands-on sightseeing, shopping, and more. 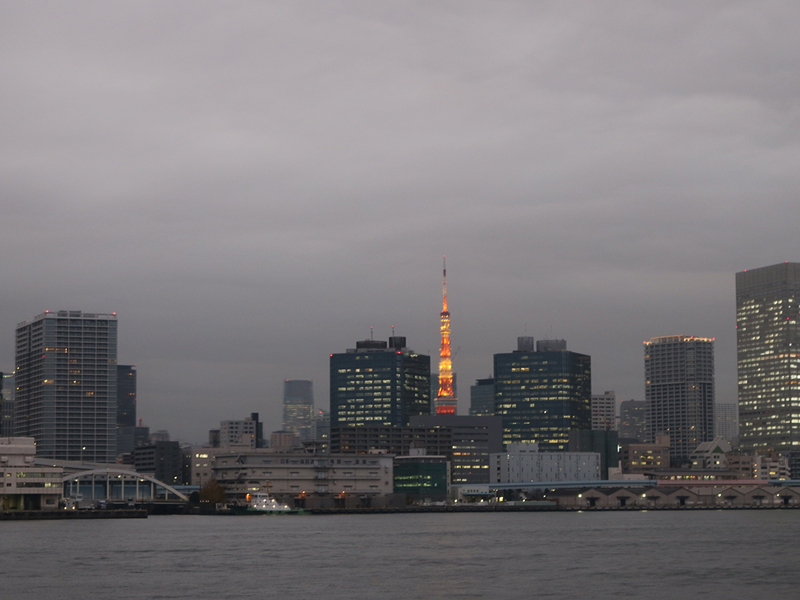 I flew on ANA on my trip to Tokyo in November. 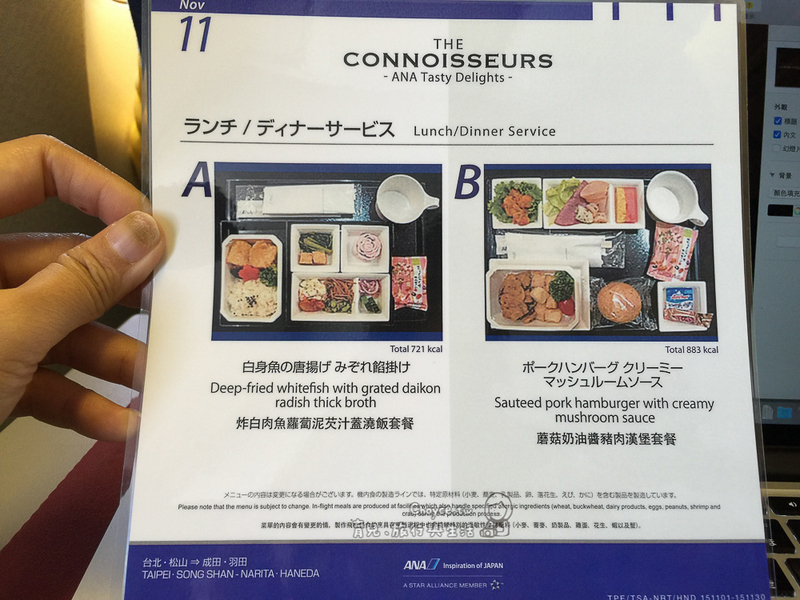 Airlines in Japan offer a good selection of in-flight meals, and their hospitality and services are second to none. 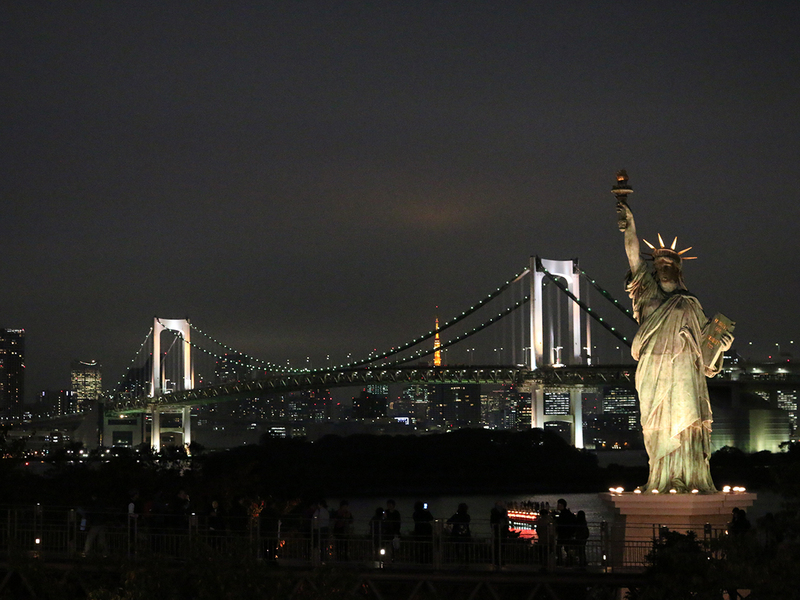 In recent years, Odaiba Seaside Park has become immensely popular with foreign tourists. 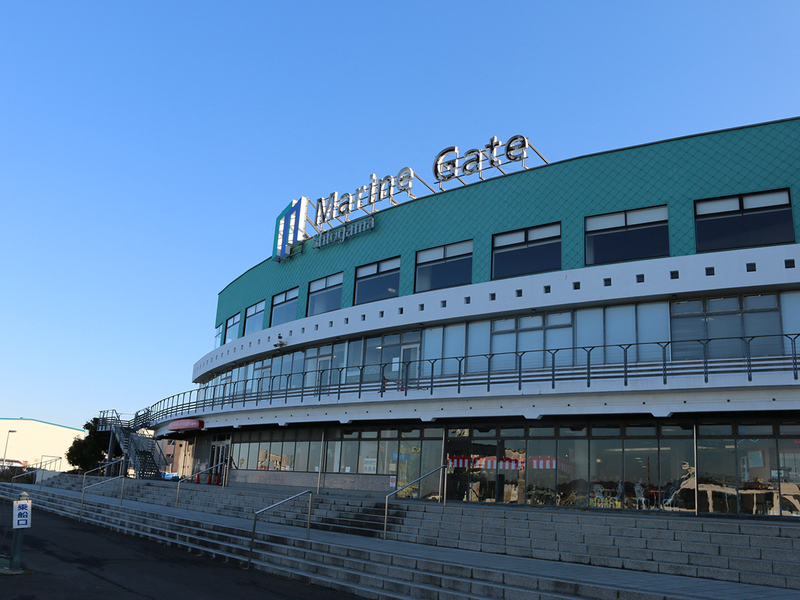 The area that opens onto the waterfront offers enjoyment for the whole family throughout the day. 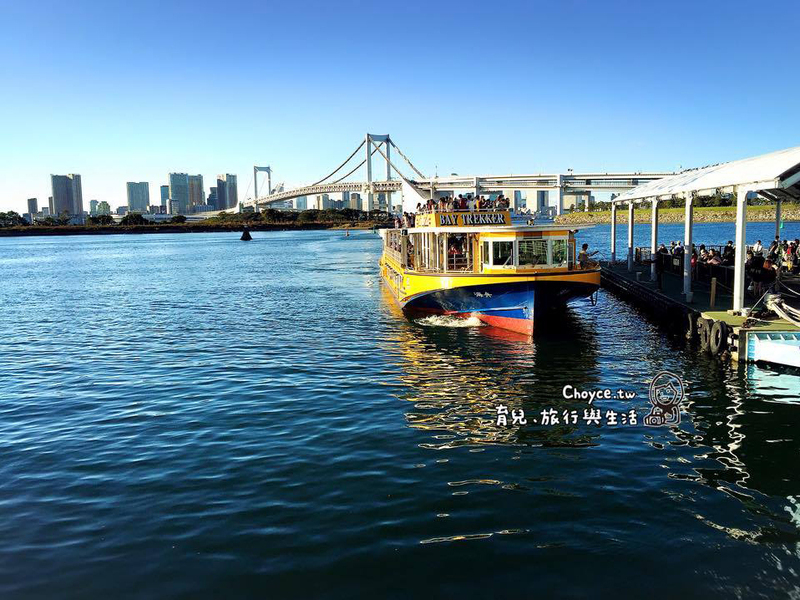 Take a ride on Yurikamome train and water buses for a mode of transportation that is different from the usual, and for a feel of Tokyo Bay’s sea breeze. 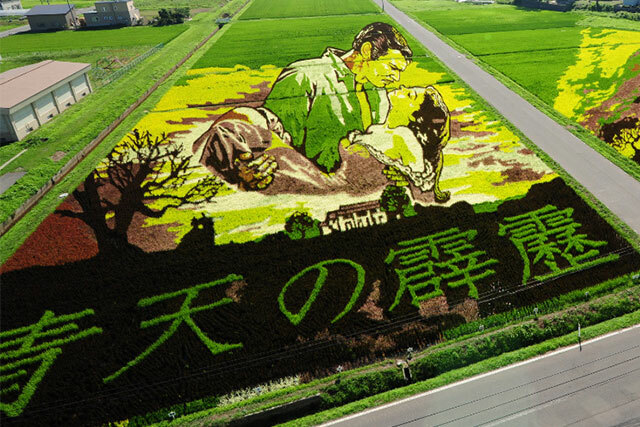 After enjoying the entertainment, and having a taste of gourmet food and shopping at the various commercial facilities, visitors can go to spots where they can witness the beauty of the sunset and the night view. 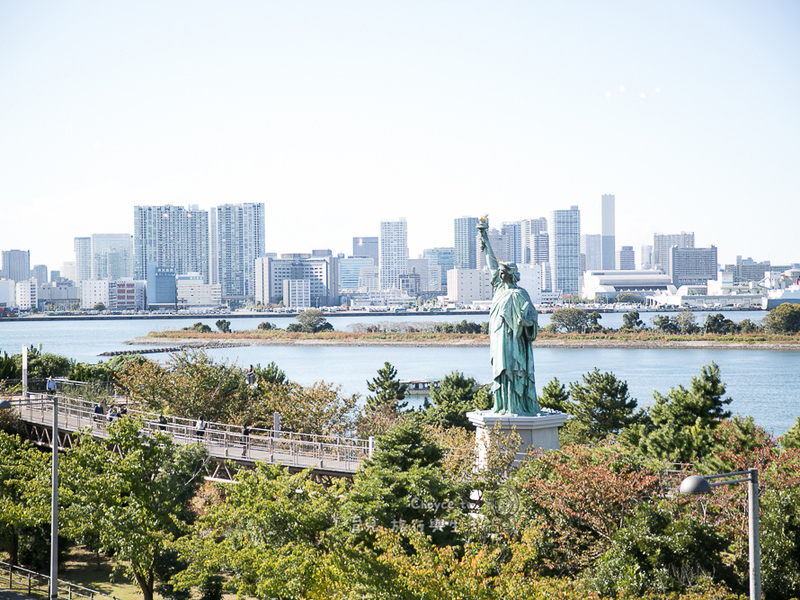 While the image of Odaiba held by most people is of binge shopping, there is also a unique driverless monorail and the recently popular Gundam statue. However, at the top of my list of recommendations is the National Museum of Emerging Science and Innovation and the RiSuPia Panasonic Center. These museums have systems and are at a scale not often seen in Taiwan. They are also great places for families and offer ample learning opportunities for kids and parents. This 333 meter tall radio tower was built in 1958. 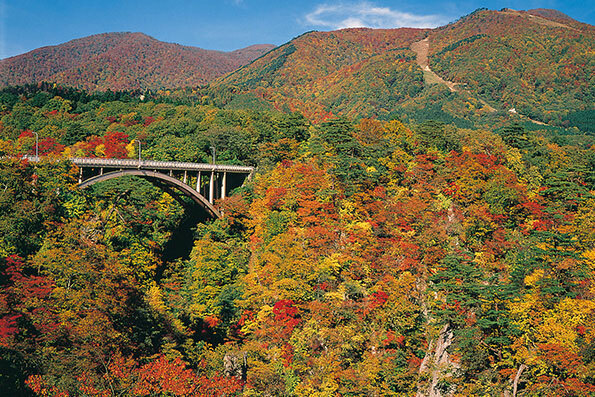 There is an observation platform at 150 meters and a special observation platform at 250 meters. 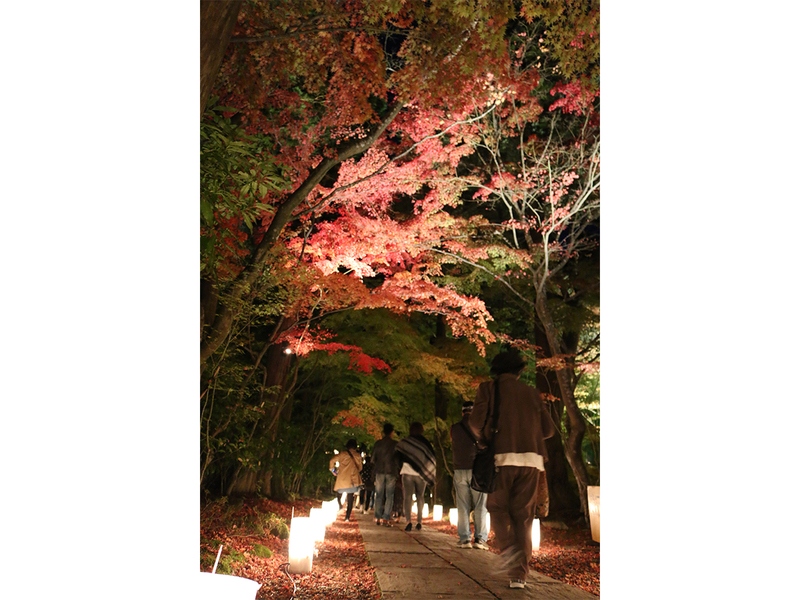 The way it is illuminated at night changes by season and for events. The building at the foot of the tower, 'Foot Town,' houses a wax museum, an aquarium, souvenir shops and restaurants. 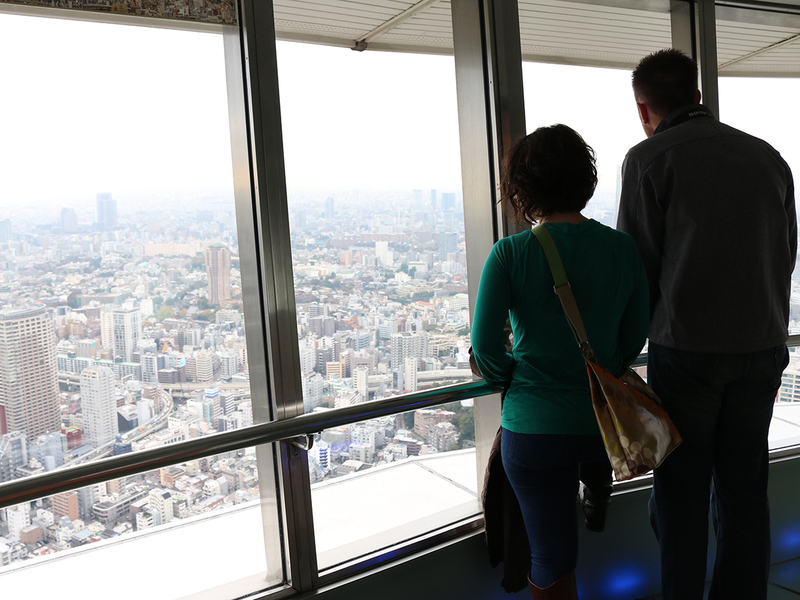 There are many ways to view Tokyo Tower. 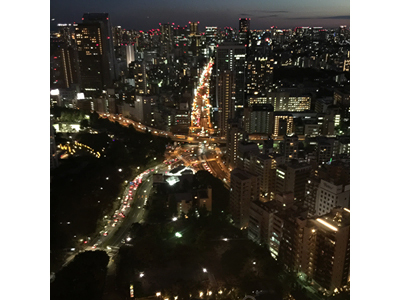 Among the best is from the skyscraper hotels in Odaiba, which provide dazzling panoramic views of not only Tokyo Tower, but also Tokyo Bay and Odaiba. Going up to the viewing platform during the day allows you to see Mt. Fuji in the distance. 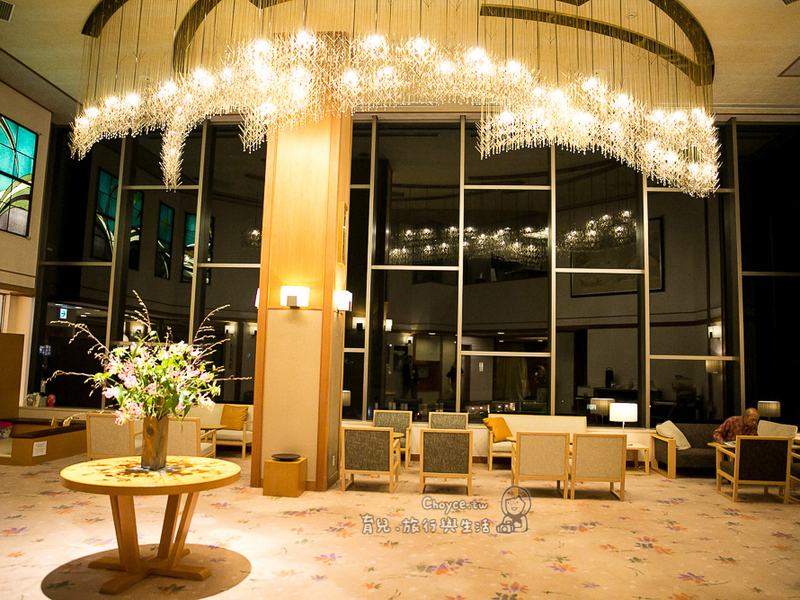 At night, you can enjoy a beautiful night view that looks just like it is studded with jewels. 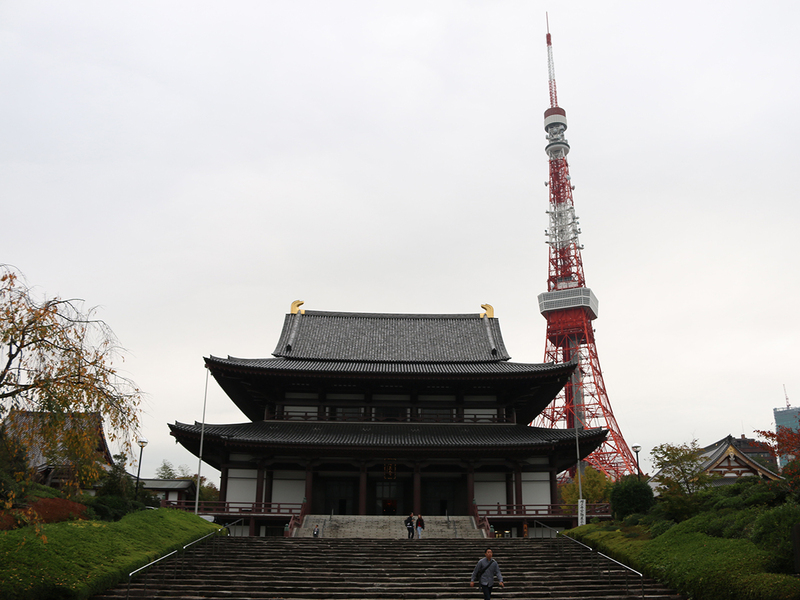 By heading from the Tokyo Tower to Daimon via Zojoji Temple, a scene of elegance and serenity suddenly giving way to the tumultuous hustle and bustle of the city unfolds before your eyes. 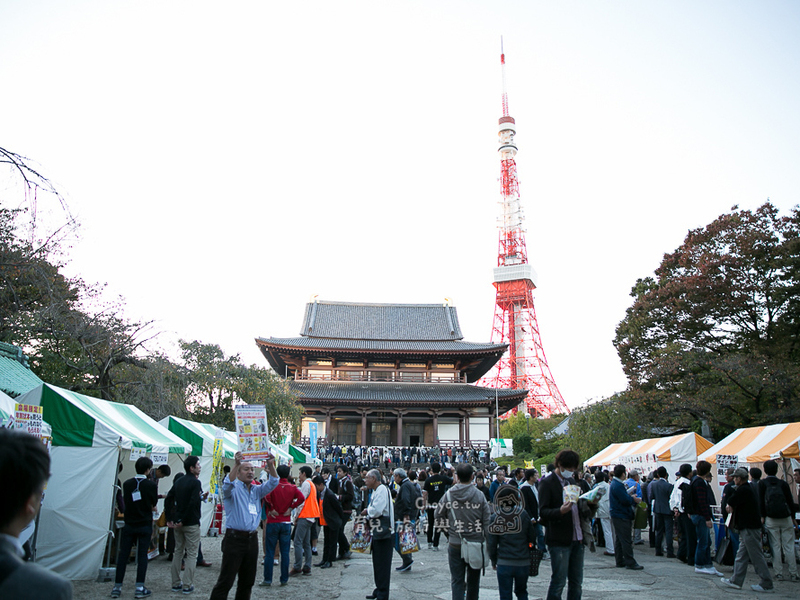 There, you can see a scene straight from a Japanese TV drama as well as throngs of people as they move back and forth. 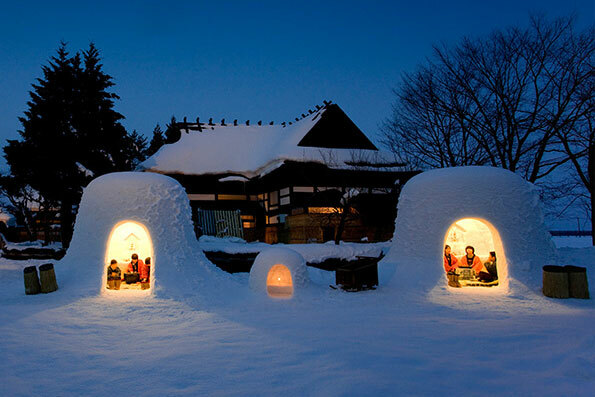 This is a hot spring theme park where visitors can relax in the Tokyo bay area. 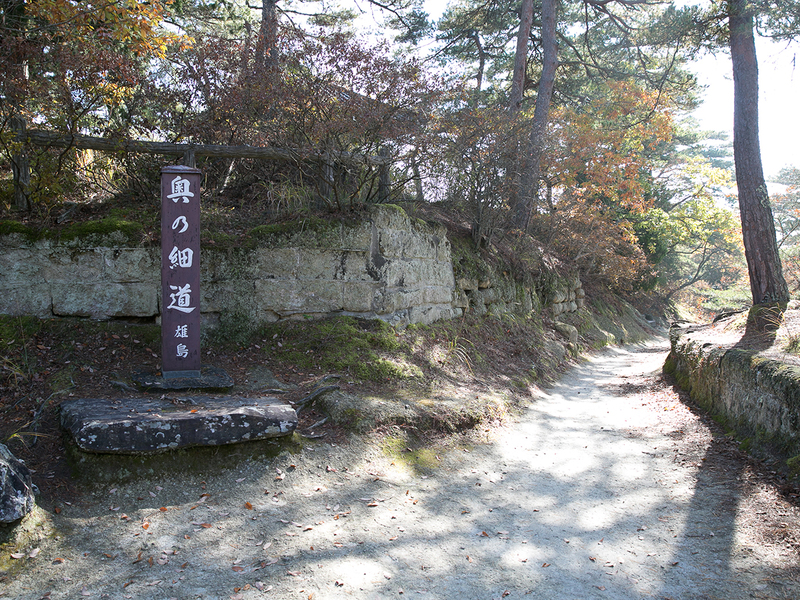 The natural hot spring water, which is pumped up from 1,400m underground, is very mild. Even after getting out of the bath, the warmth envelopes your body for a long time, comforting both your mind and body. 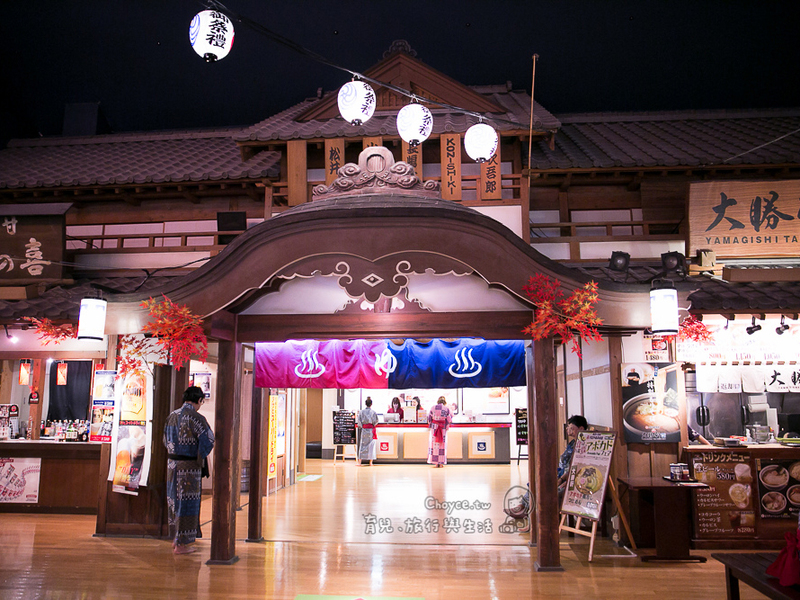 There are some good deals on party courses, so the feel of hot spring town onsens can be experienced even in Tokyo. 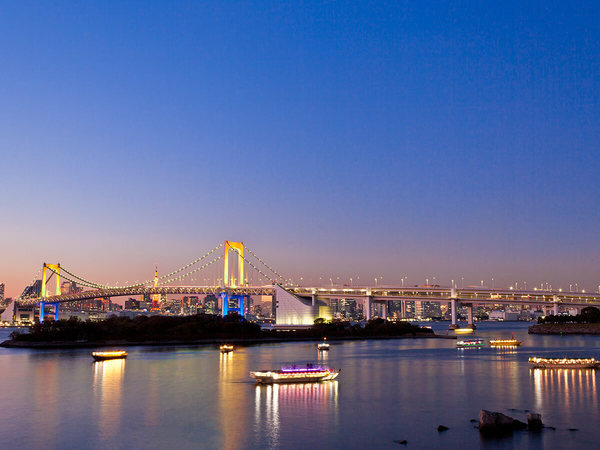 By hopping on a water bus and heading to Odaiba in the evening, you can enjoy the beautiful sky at sunset, the bay scenery illuminated by city lights, and the Rainbow Bridge. Stepping inside, you suddenly find yourself in a town scene from the Edo Period, and you can't help being moved. Also, when you buy a ticket that includes a meal, you can enjoy delicious cooking while taking in the interior of the building at your own pace. The large bathing area and bathtub was perfect for families. I recommend heading to the 30th floor as early as possible to eat breakfast. 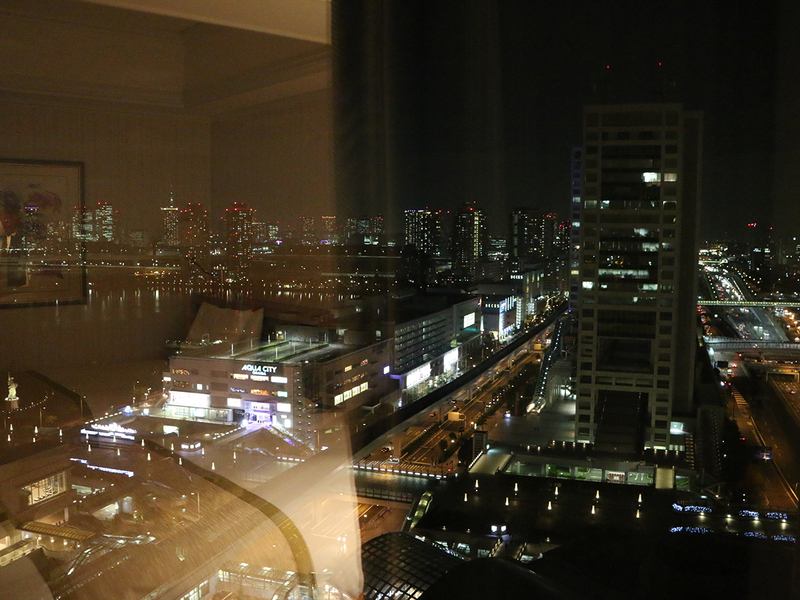 From the rooms it is possible to see Tokyo Bay in the distance, so you can enjoy the constantly changing Tokyo Bay to your heart’s content. 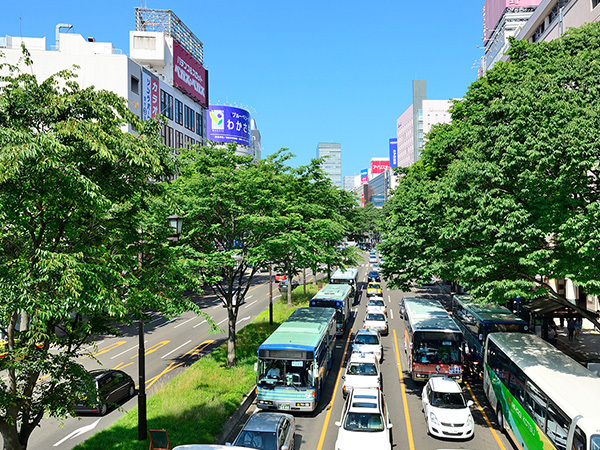 I was transported to the hub of fun and vibrant shopping and the great food of Sendai, less than two hours from Tokyo. 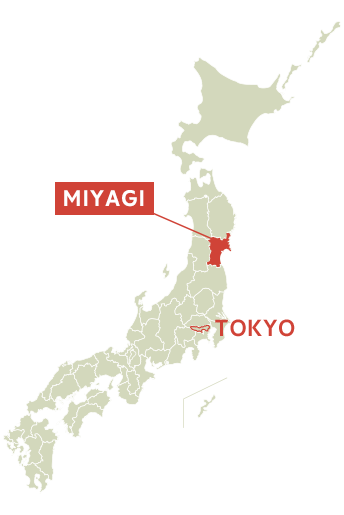 Boarding the Shinkansen train system, the pride of Japan, and departing Tokyo, you head to Sendai City, Miyagi Prefecture. 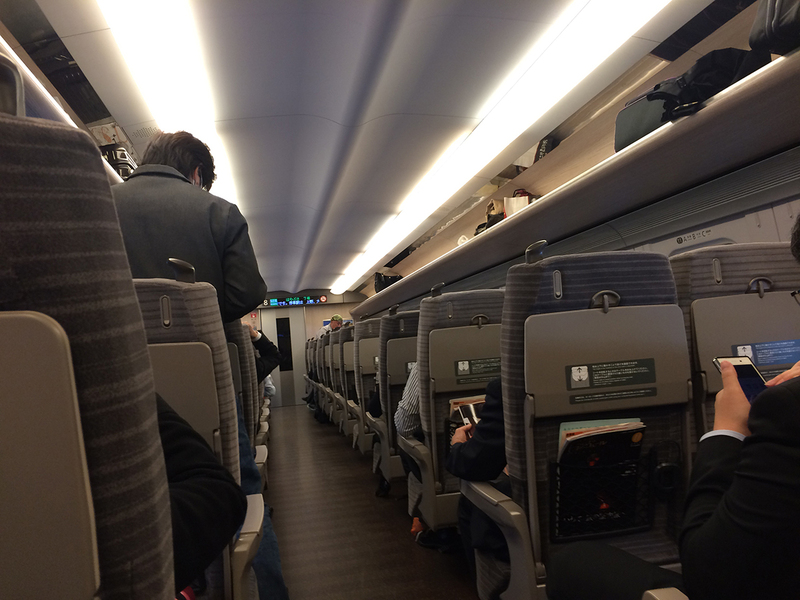 Many travelers use the Shinkansen bullet trains, which are not only punctual but also safe and comfortable. 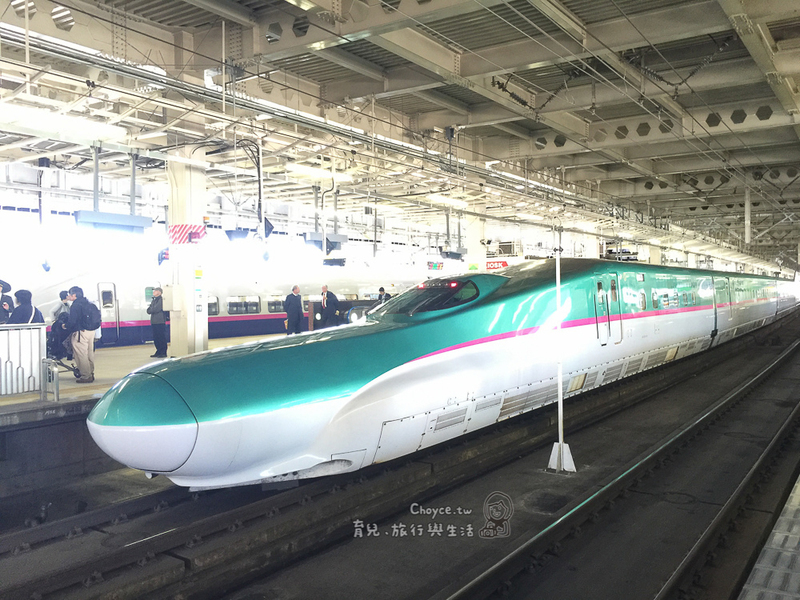 Travelers from overseas can buy a JR EAST PASS. 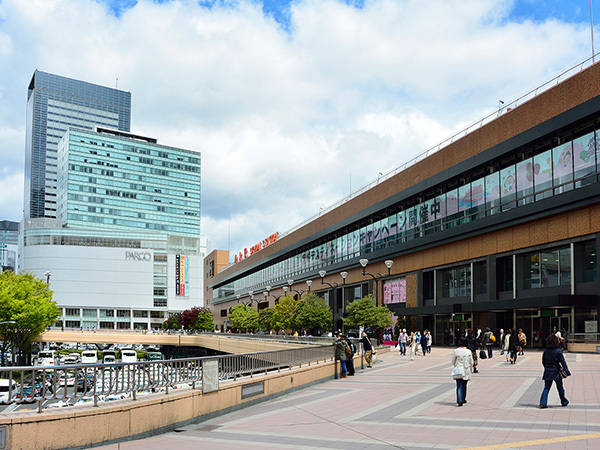 Sendai Station is a central sightseeing location in Tohoku, and allows visitors to gain access to tourist attractions all throughout Tohoku. 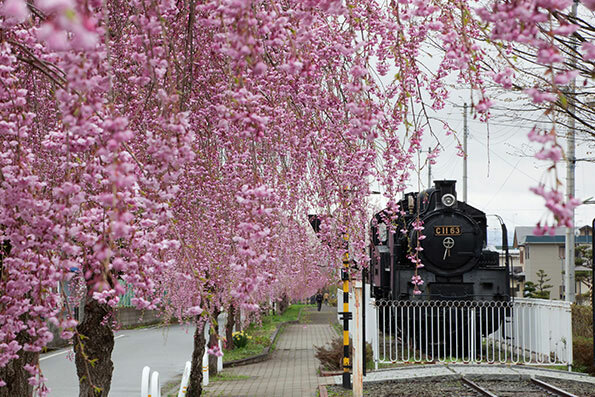 Yamadera, Matsushima, and Hiraizumi can all be reached within 1 hour by using JR train lines. 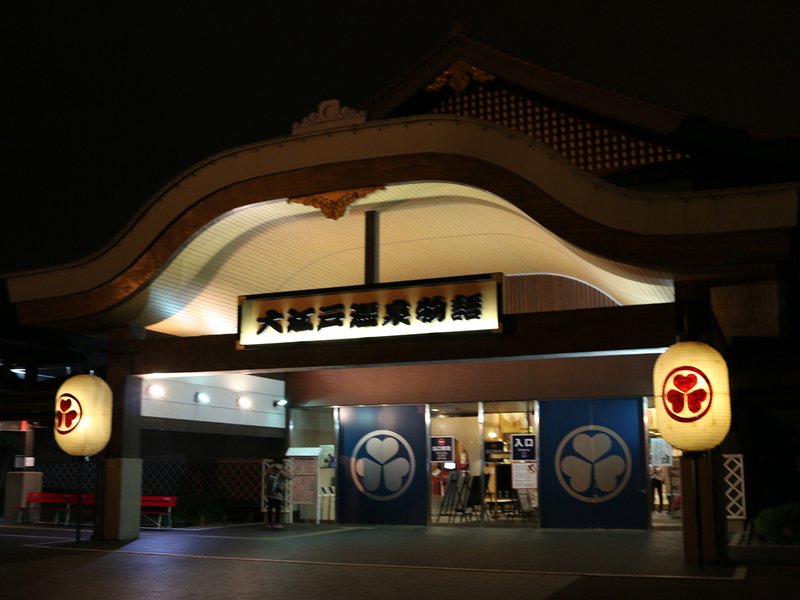 Sendai Station has many souvenir shops selling Sendai specialties. 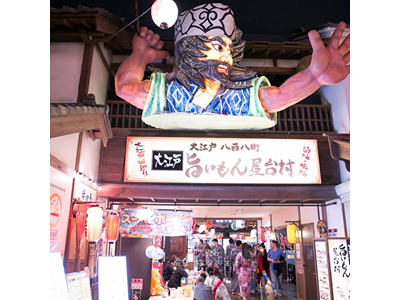 The Gyutan-dori and Sushi-dori streets have a lineup of stores where you can eat beef tongue, a local specialty, and sushi. 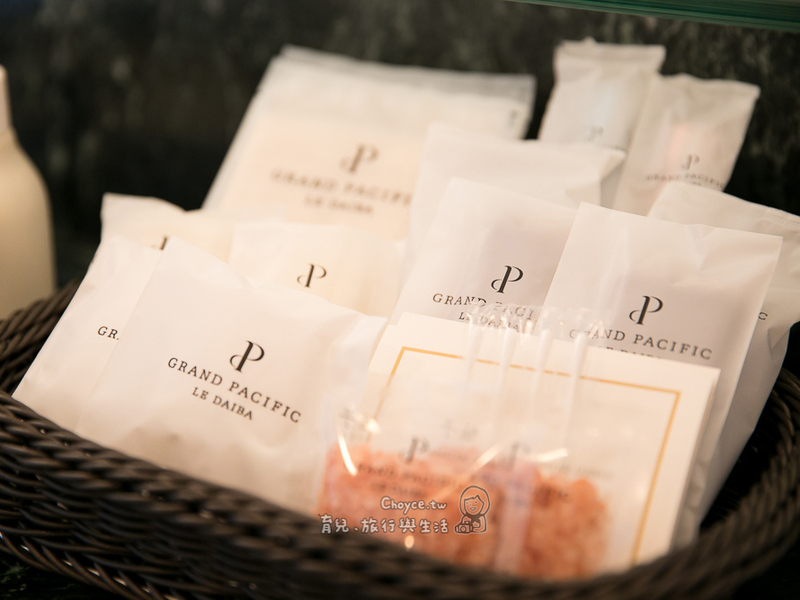 These shops have multilingual menus, making this a friendly spot for visitors from overseas. 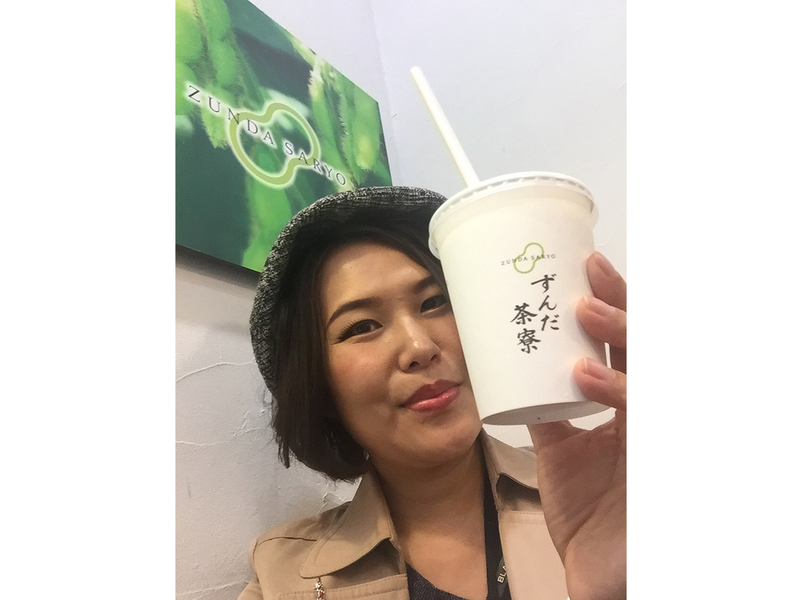 The zunda shakes served at the Zunda Saryo restaurant are a blend of special zunda green soy beans. It's an original shake with a fun bumpy texture that can't be found elsewhere. Be sure to give their delicious taste a try as they are freshly made at the shop. 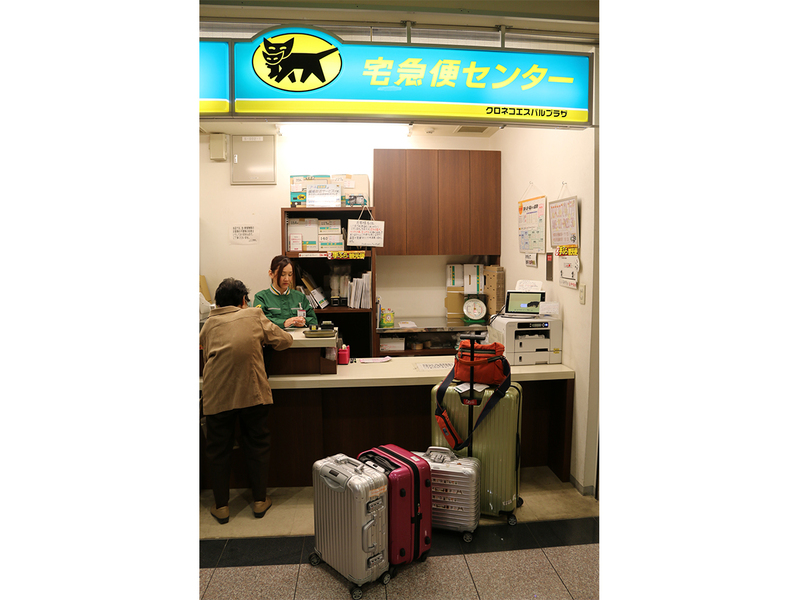 Sendai Station offers a hands-free tourism service where your luggage is delivered right to the hotel so you can explore the city unencumbered. Any visit to Sendai Station would not be complete without a stop at the ever popular Zunda Saryo on the 1F, which sells a selection of Japanese sweets. 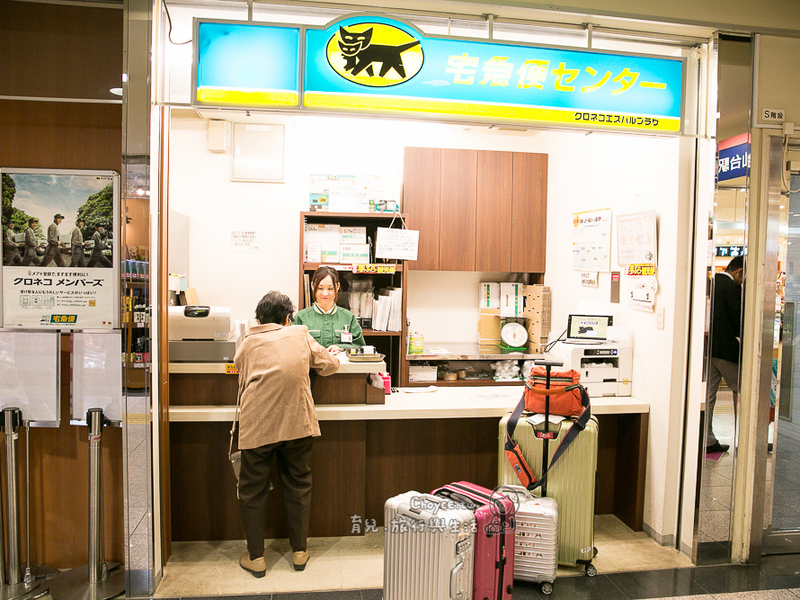 After arriving at Sendai Station, stop first at the Takkyubin Center (Kuroneko S-PAL Plaza) on the first basement floor of the S-PAL department store inside the station. If you leave your luggage here in the morning, the center will deliver it to your place of accommodation by the evening of the same day. You can eat your fill of the edamame-flavored Japanese confectionary known as Zunda mochi. Zunda mochi are made by taking bean paste prepared by boiling and crushing edamame, and wrapping it in mochi rice cakes. 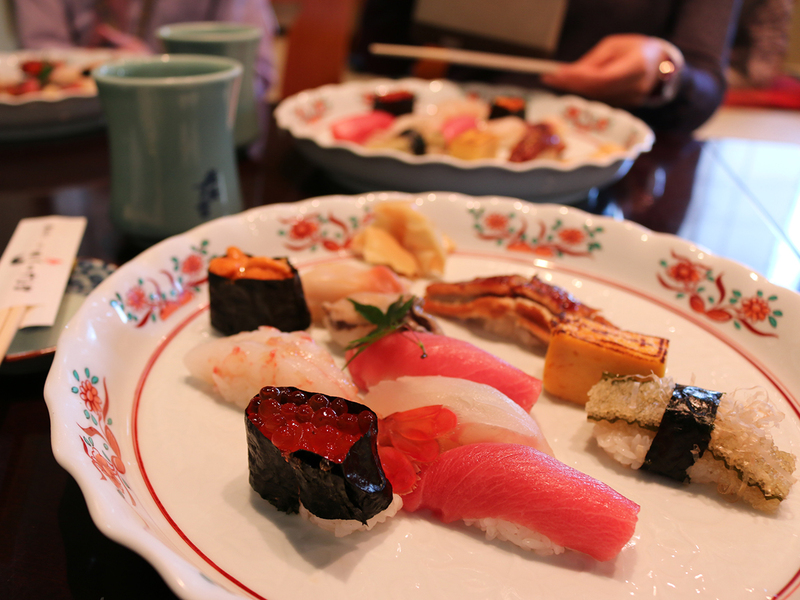 There are tons of sushi restaurants in the Shiogama Area. 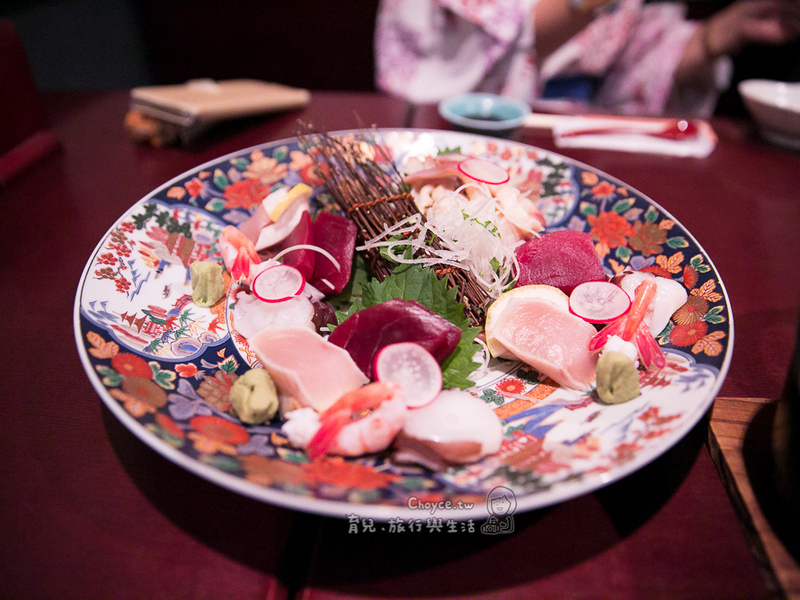 The superb sushi here is made using high quality fish caught off the coast of Sanriku, which is one of the three greatest fishing zones in the world. The food pairs extraordinarily well with alcohol too! 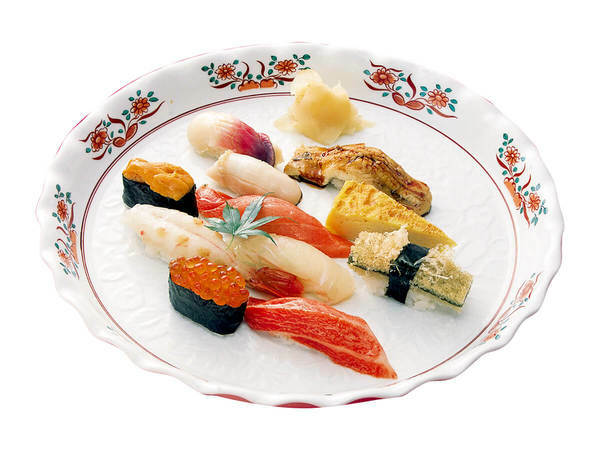 Then, if you board a train on the JR Senseki Line from Sendai Station and travel to Shiogama City, you’ll be able to eat sushi that uses fresh seafood locally caught on the Sanriku Coast. 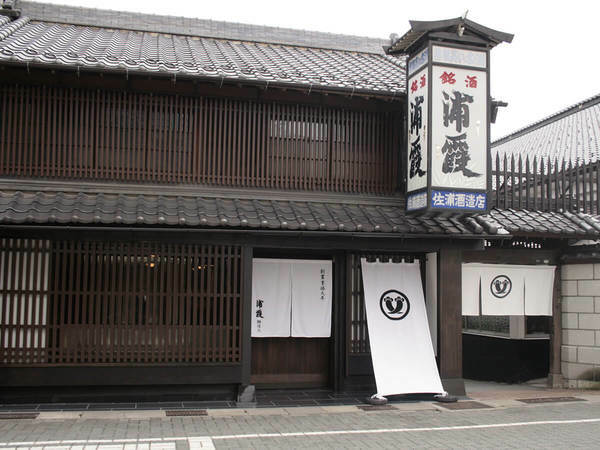 At Saura, brewer of Urakasumi sake, which is representative of Miyagi and the Tohoku Region, visitors can tour the storehouse and sample sake. In the gallery shop (duty free store), they can purchase liquor, limited edition goods, and other products that catch their fancy. 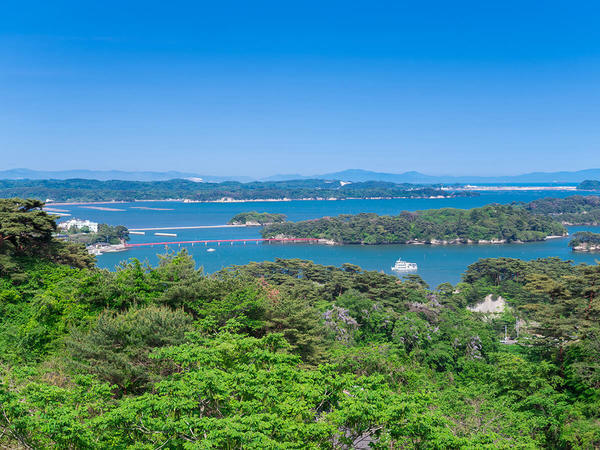 As a member of the Most Beautiful Bays in the World Club, Matsushima Bay has charmed a great many people since long ago with its picturesque scenery. 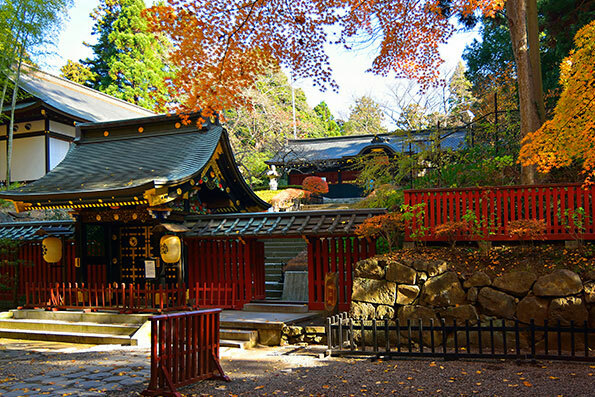 Places like Entsuu-in Temple are illuminated, particularly in the autumn foliage season, to produce a wondrous atmosphere. 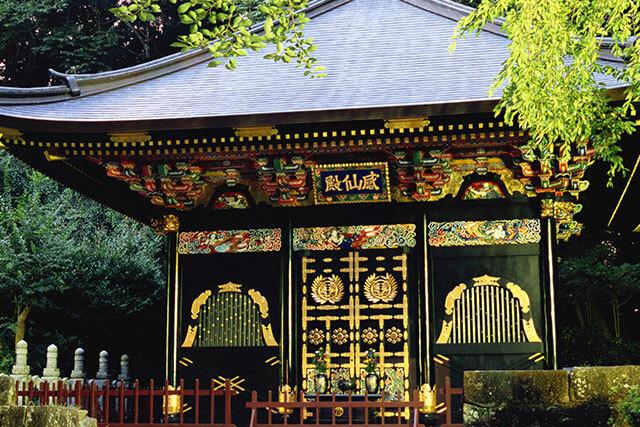 The Kanrantei, where visitors can enjoy all-season macha green tea, is also highly recommended! 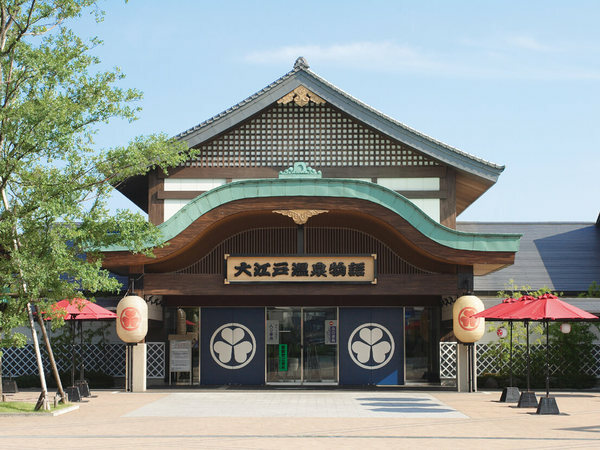 Visitors are also encouraged to visit the Date Masamune Historical Museum, who helped build the foundations of Sendai, as well as the Yakigaki House, where visitors can have all-you-can-eat oysters, a Matsushima specialty, and even try oyster burgers. 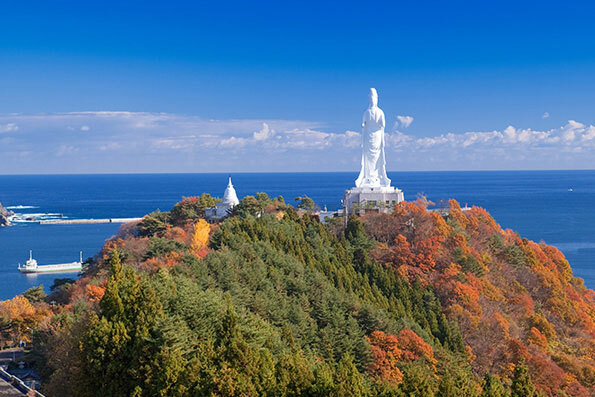 Before embarking on a sightseeing cruise through the islands, head to a high vantage point, such as at Saigyomodoshi no Matsu Park, to see the entire scope of the bay. It will add another level to your enjoyment of the cruise. At Entsuu-in Temple, the rosary-making workshop is popular. 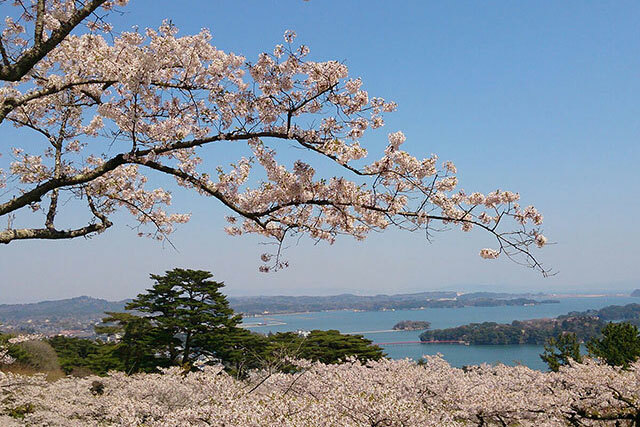 The picturesque Matsushima Coast is truly deserving of its praise as one of the three most scenic places in Japan. 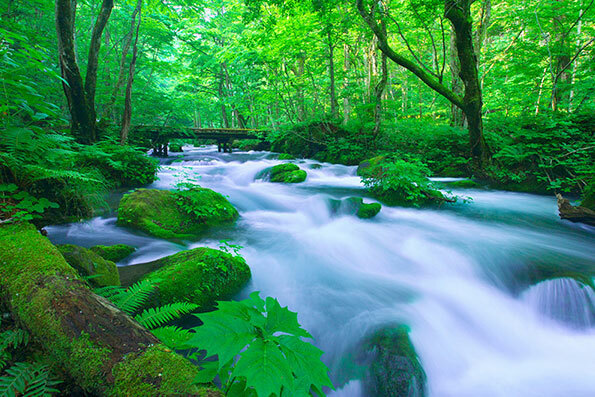 It’s a great destination for food, fun, and a place to rejuvenate your spirit, thanks to its warm, hospitable people, delicious food, and convenient location only 30 minutes by car from Sendai. 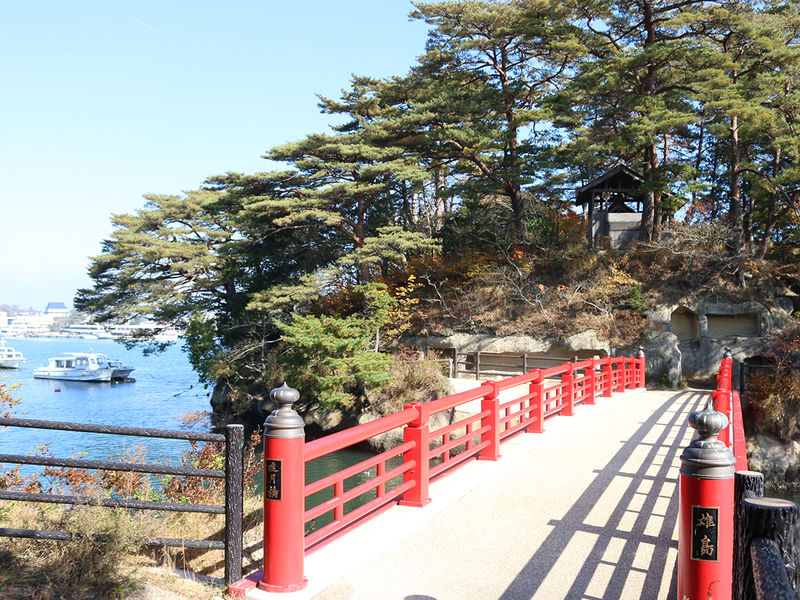 Although few in number, there are a few ryokan built with high-grade materials located throughout the Matsushima Coast. 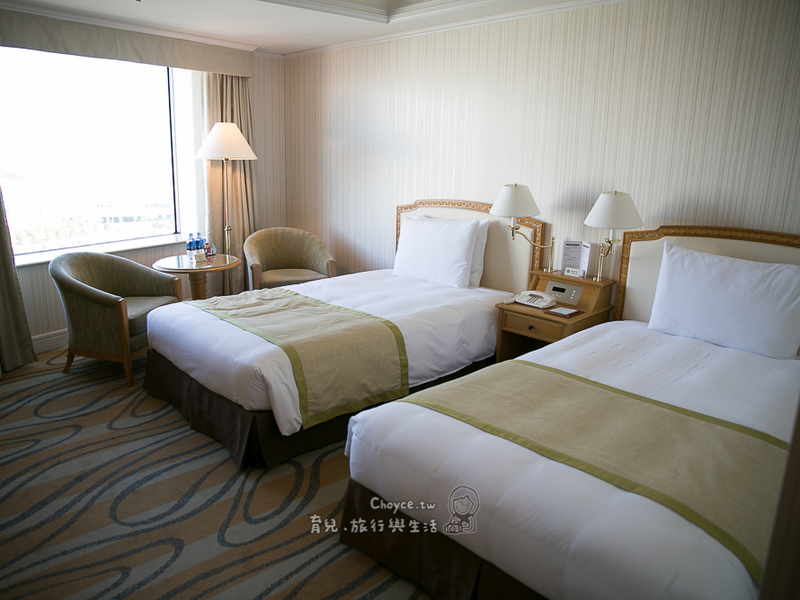 They have been remodeled and guests can take in the beautiful view (all rooms face the ocean) to their heart's content. 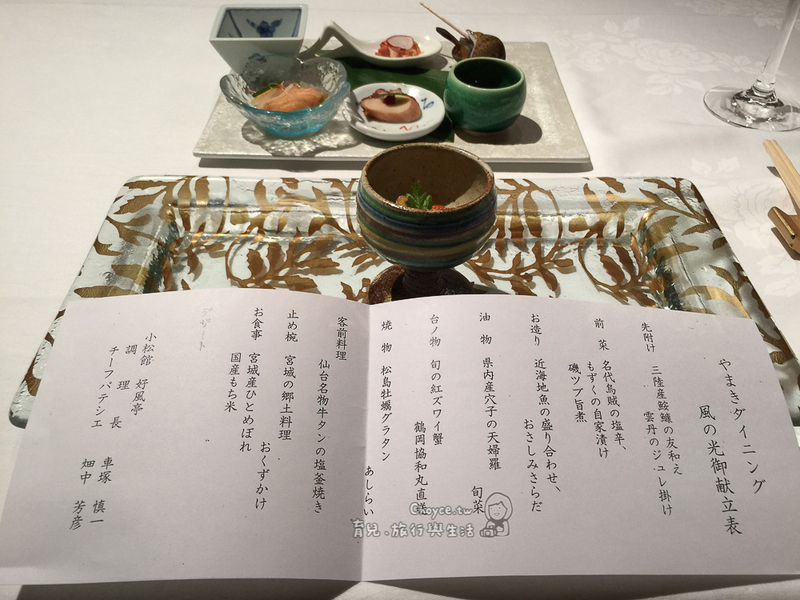 I want to recommend the Komatsukan Kofutei ryokan to travelers from overseas when they visit the Matsushima Coast. 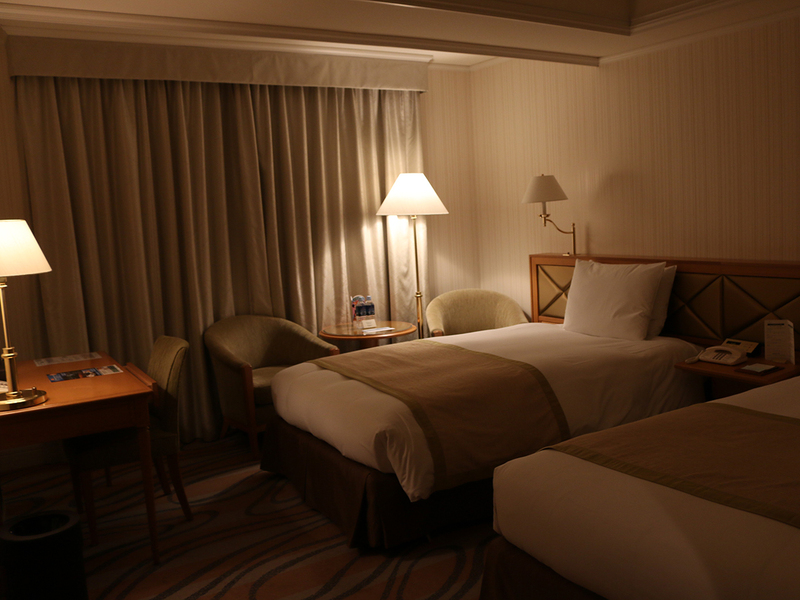 It's a wonderful place where you can enjoy a creative Japanese-style traditional Kaiseki cuisine course made by a skilled chef, as well as have a good night's rest. 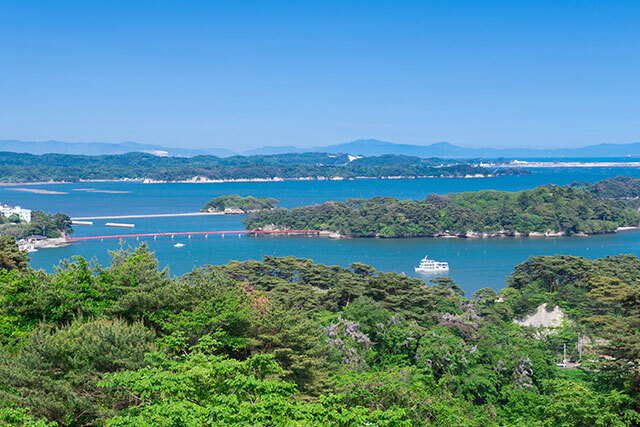 Taking a boat from the Shiogama sightseeing ferry terminal will take you to Matsushima Islands Area, one of Japan's three most scenic places. 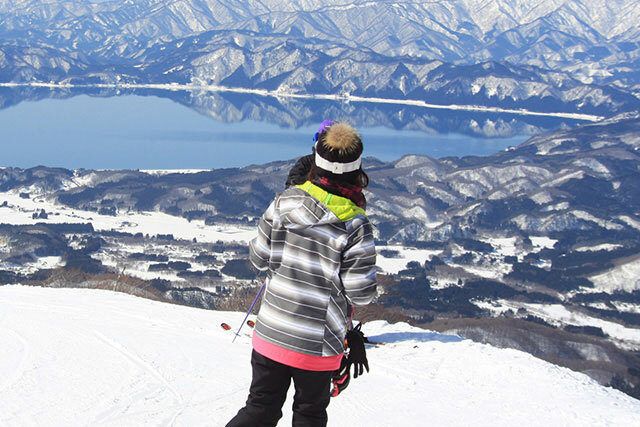 Even the world-renowned haiku poet, Matsuo Basho, praised it as having the best scenery in Japan". Long ago, when a hilly area sank into the sea, the tall hill tops poking out from the ocean's surface became the islands, with the rocks being slowly eroded over many months and years. 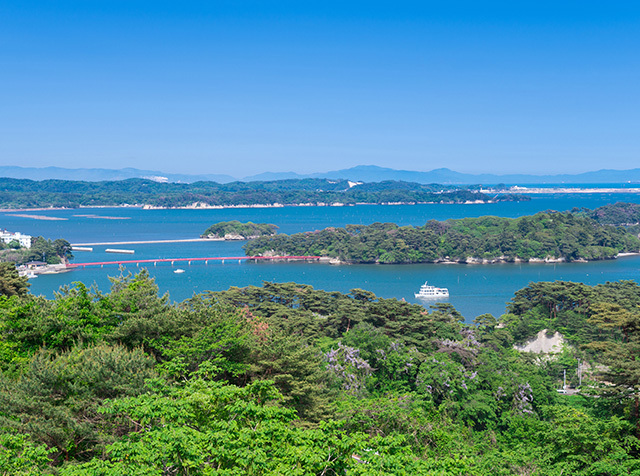 The approximately 260 differently sized islands in Matsushima Bay create a unique scene that draws a large number of domestic and overseas tourists every year. The unique scenery of the islands can be observed up close from a boat. 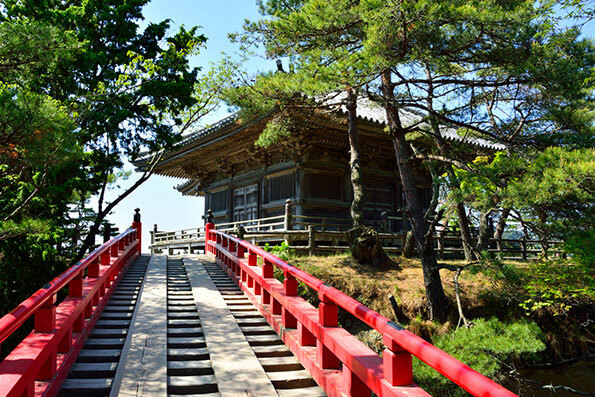 Located on an island, Entsuin Temple is the family temple of Date Mitsumune, the grandson of Date Masamune. 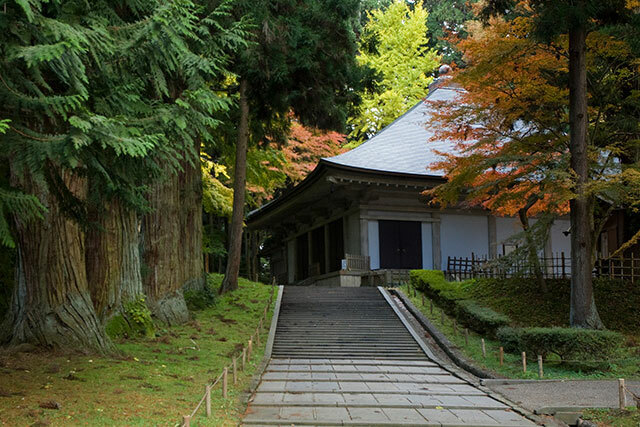 Every autumn, the temple’s Japanese garden is beautifully lit up, enchanting people with the beauty of its fall colors. You can choose your meal at the time of reservation. 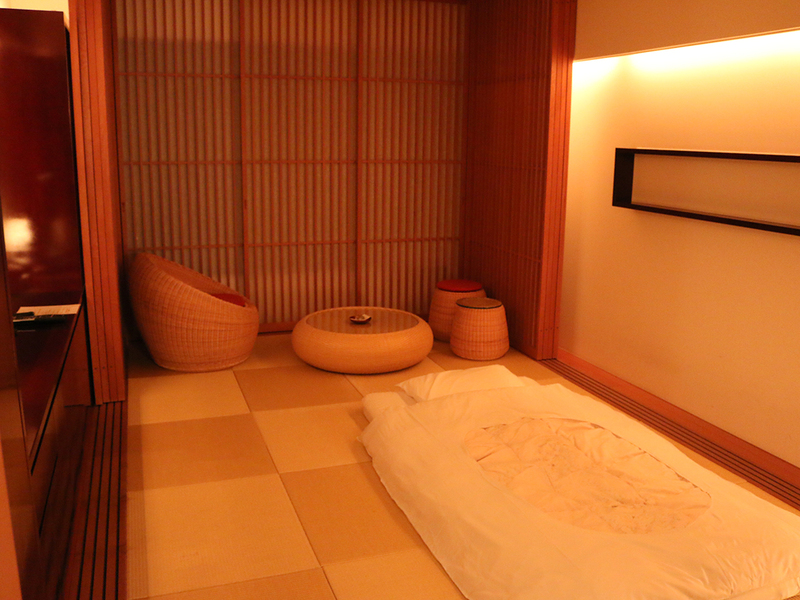 I left relaxed and fully satisfied with my delicious meal and time in the hot spring bath. 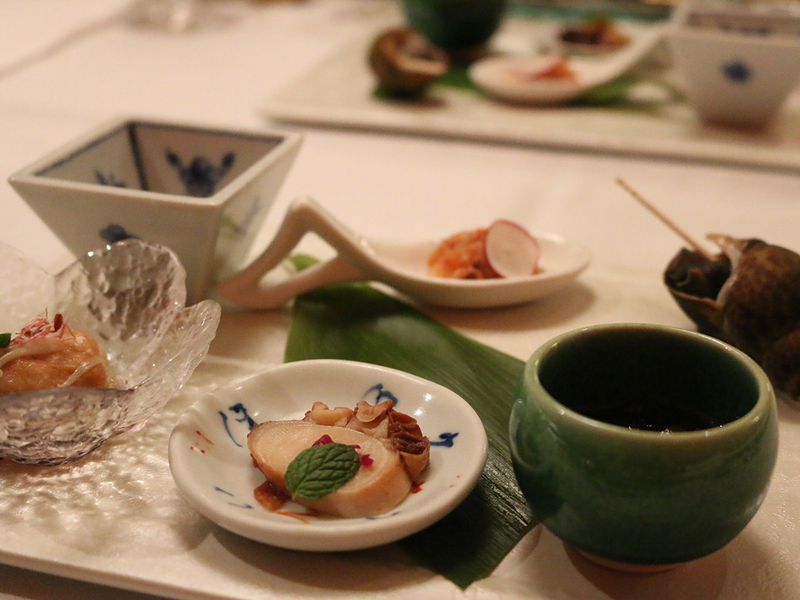 The meals served at ryokan delight consumers’ palates by constantly presenting new dishes, not only by using local ingredients but also through partnerships with head chefs at renowned hotels in Tokyo and elsewhere. 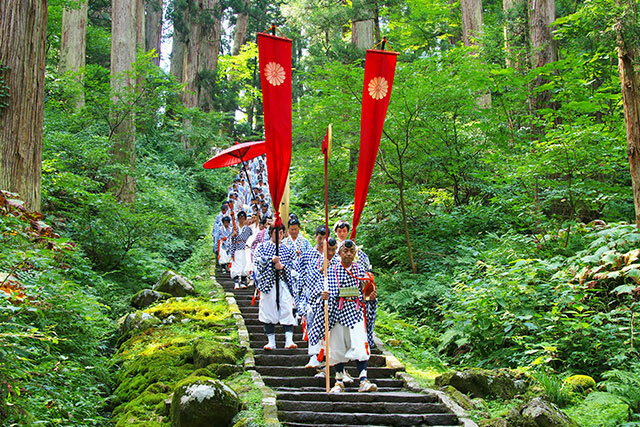 Built by a feudal lord as a place to escape the summer heat and for moongazing, Kanrantei can't be missed. 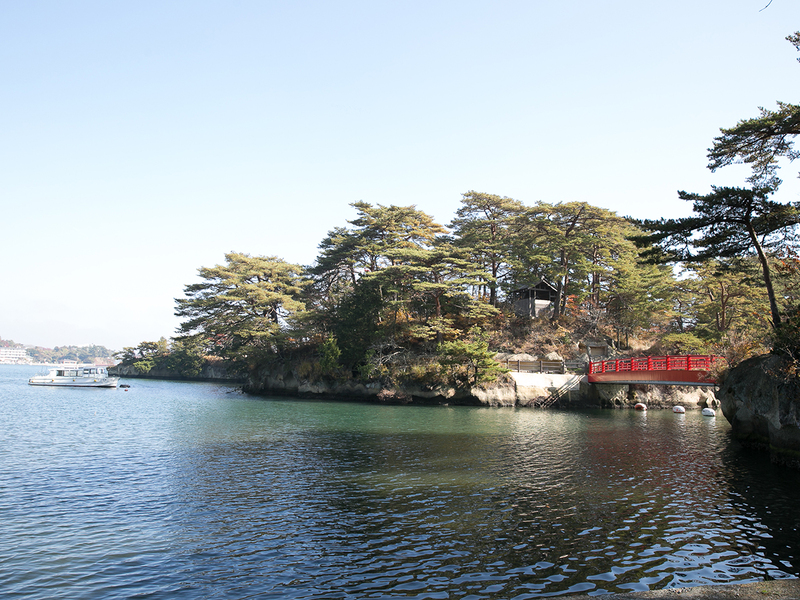 Matsushima is connected to the islands in the vicinity by bridges of various sizes. 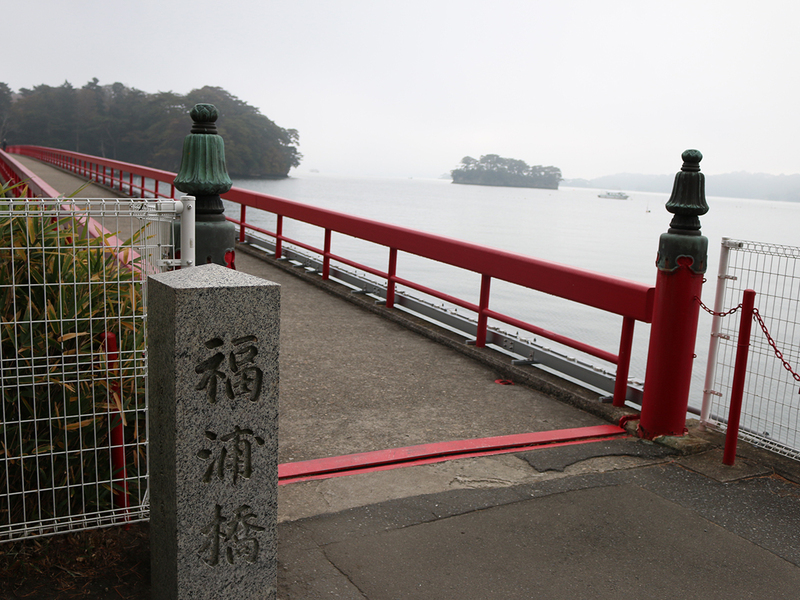 There are three bridges in total: Togetsu-kyo Bridge connecting Matsushima and Oshima, Fukuura Island’s Fukuura-kyo Bridge, and Godaido Hall’s enmusubi bridge – crossing which is said to bring luck in love. 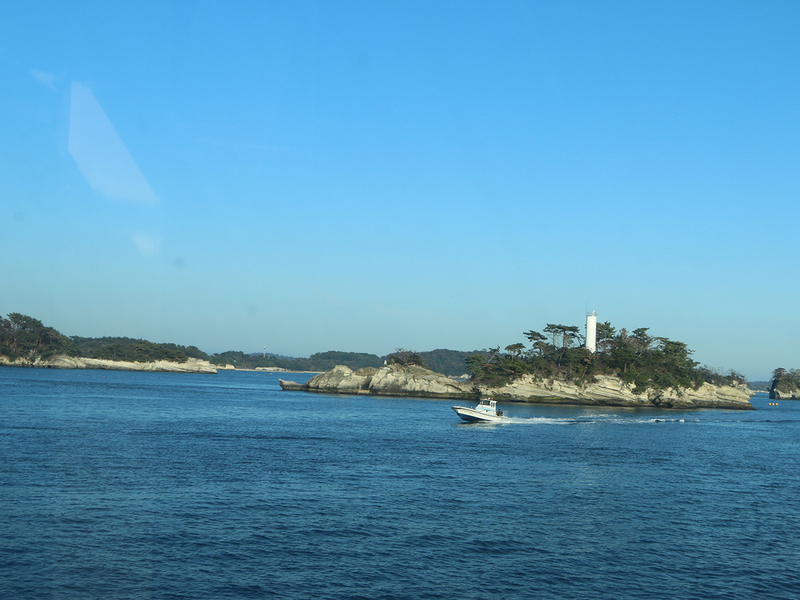 On the coast that Matsushima forms the center of, oyster farming flourishes. 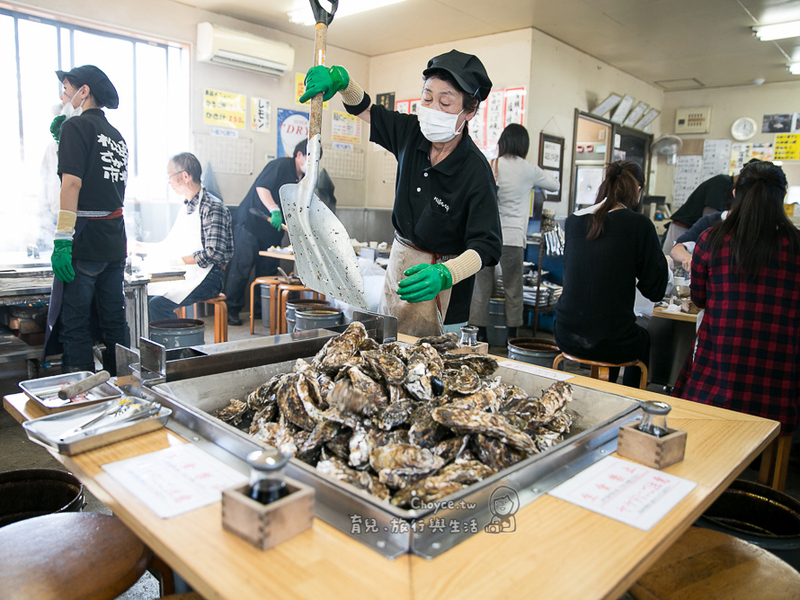 At Matsushima’s morning market, you can enjoy freshly harvested oysters to your heart’s content. 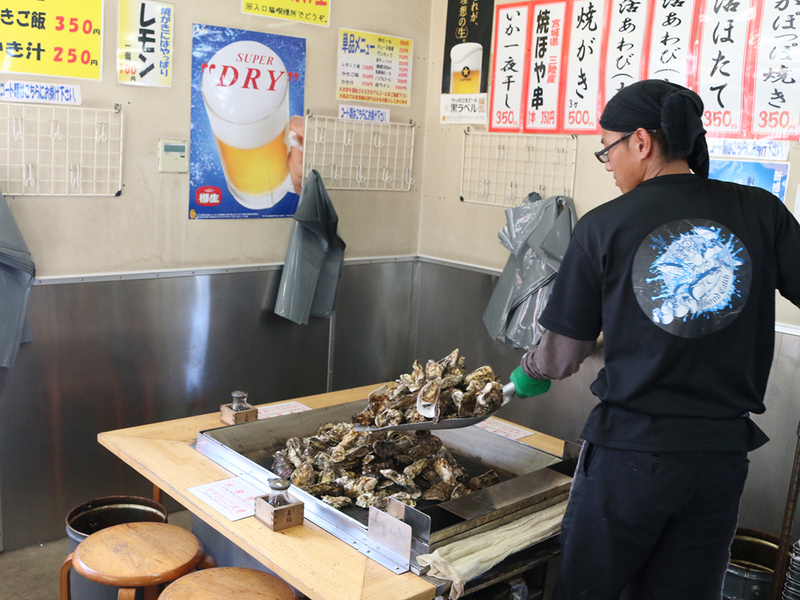 For 2,000 yen you can eat your fill of oysters cooked in their shells. 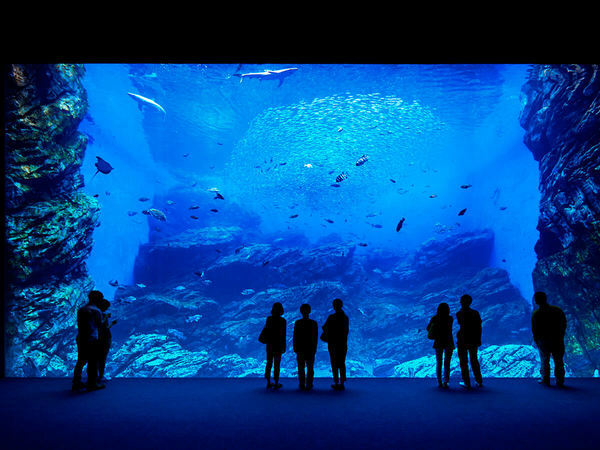 Opened in July 2015, this facility features one of Tohoku's largest aquariums as well as an outlet mall – one more great reason to visit cities in Tohoku. 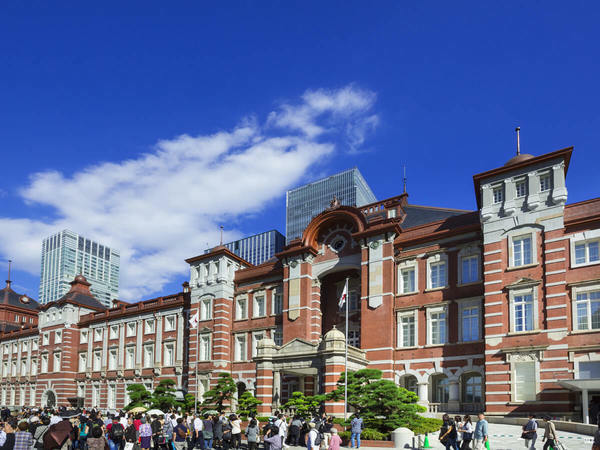 The aquarium features a zone where visitors can feel the bonds with the rest of the world through living things as they view large tanks showcasing the plentiful life of the Sea of Japan and nature, as well as river tanks. 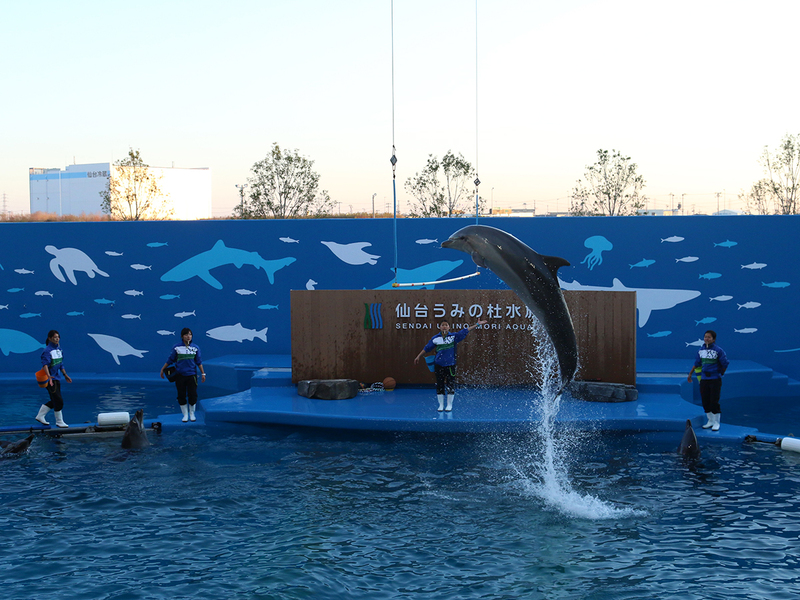 The aquarium also has some of the largest dolphin and seal performances in Tohoku. There is even a therapeutic area where visitors can interact with sea creatures. 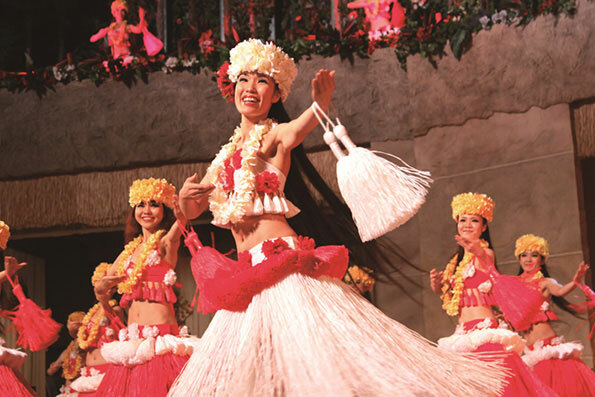 With all this and more, the aquarium offers a plethora of appealing attractions. At the outlet mall, the number of tax-free stores is increasing and visitors can have a pleasant shopping experience. Newly opened in July 2015, it also offers spots where children can learn about new life. 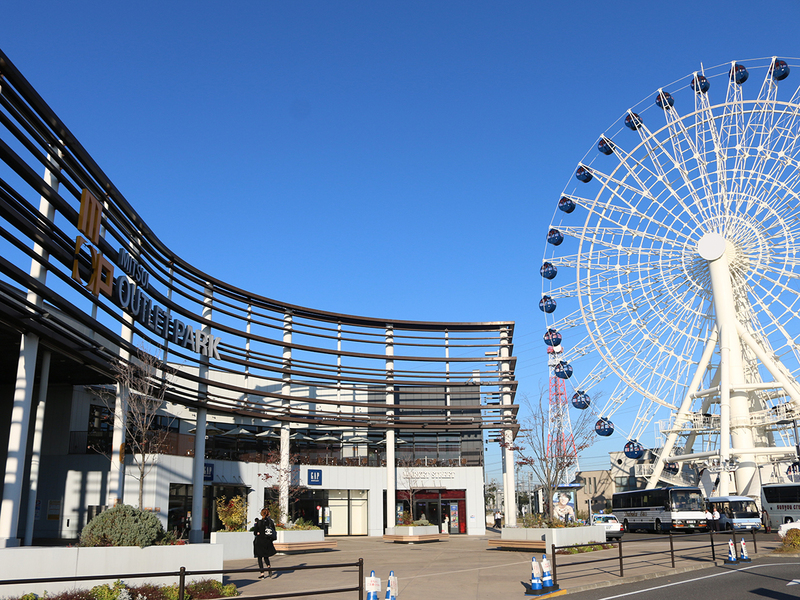 Located on the outskirts of Miyagi Prefecture between Sendai and Matsushima, it offers a vibrant shopping environment symbolized by the Port Flower Ferris wheel that stands at about 50 meters tall. 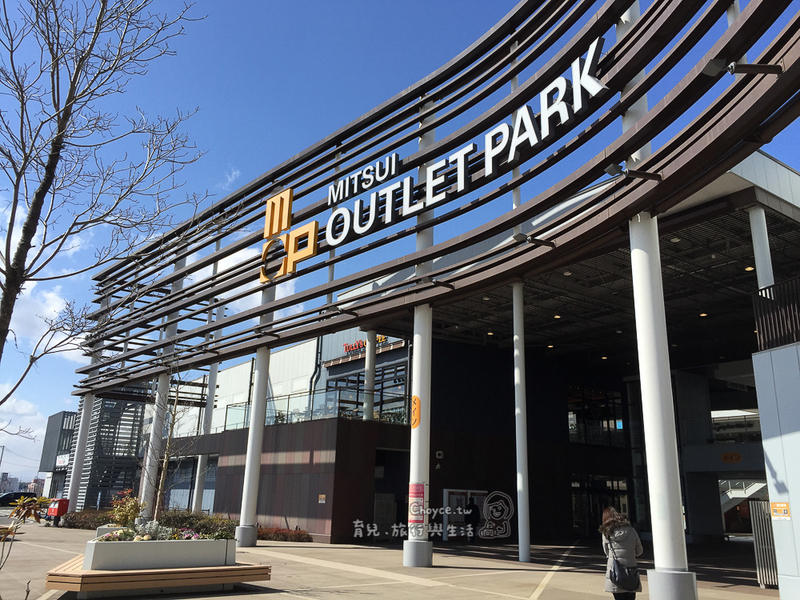 Boarding a train from Matsushima and alighting at Nakanosakae Station, a short work will take you to Mitsui Outlet Park Sendai Port, where you can enjoy shopping. 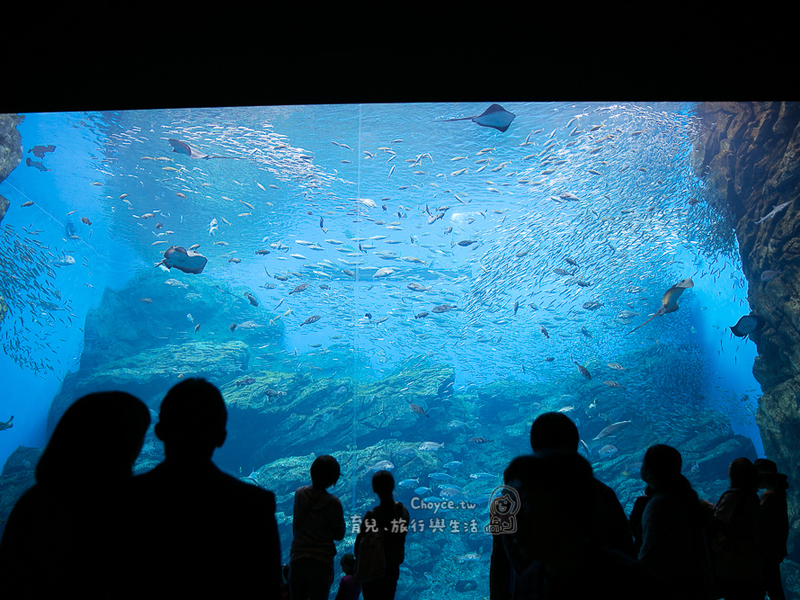 You can also enjoy watching the dolphin show at Sendai Umino-Mori Aquarium, Tohoku’s largest aquarium. 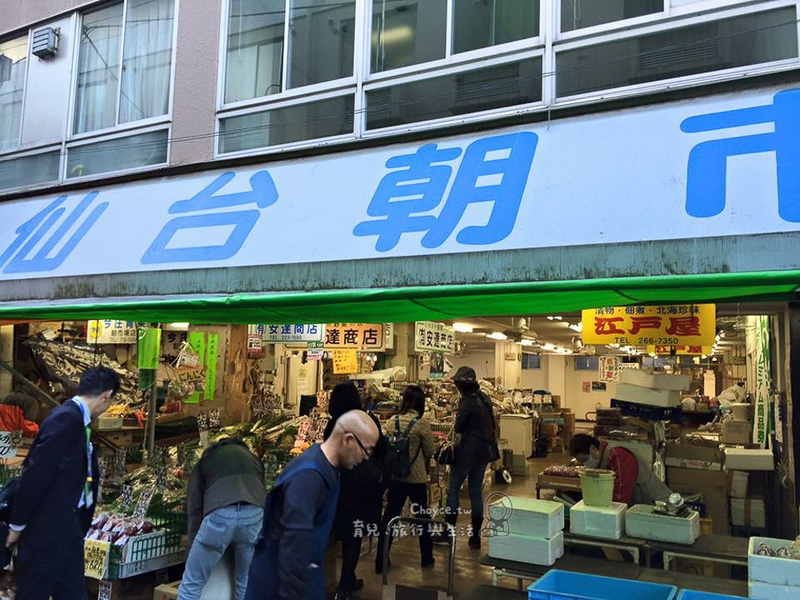 The most interesting and memorable part of my trip to Sendai was the great prices at Sendai's morning market.Rausu Kombu, a brand of edible kelp that stands out among all other kelp brands, is one of my dream items! 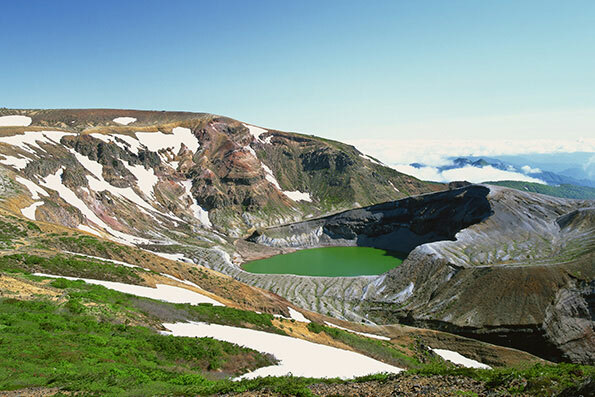 The discount tickets offered for the Tokyo + Tohoku package tour work great for foreign visitors. The draws of train travel include never having to worry about traffic or looking at a map and you can easily get around with your luggage. 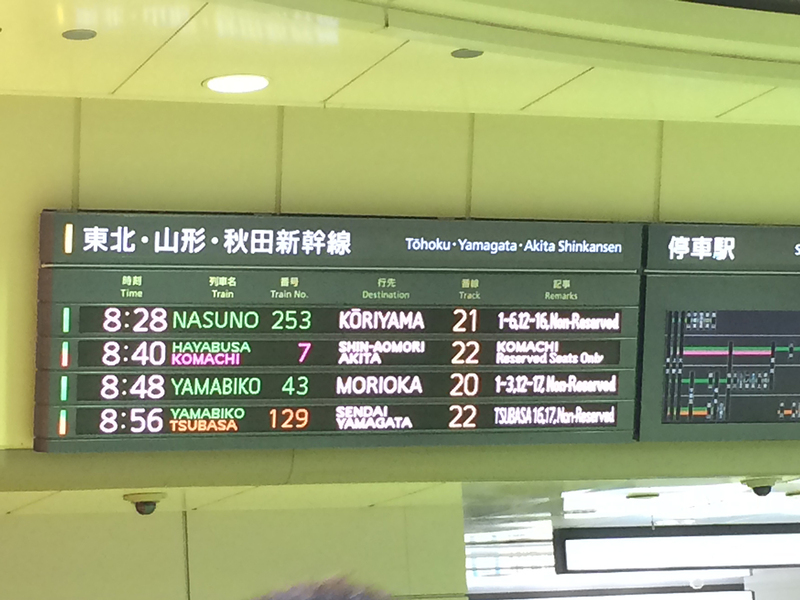 Train travel also lets you come into contact with the local culture as well. If you are traveling with your family, you can play a game with the kids to search for your destination, which provides a fun experience and added bonus of feeling a sense of achievement at the end. 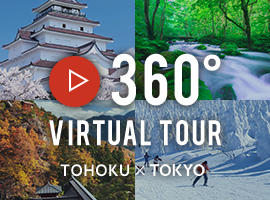 Why not depart Tokyo and travel with a carefree spirit to experience the scenery, the delicious local cuisine and the human warmth that only Tohoku can offer? 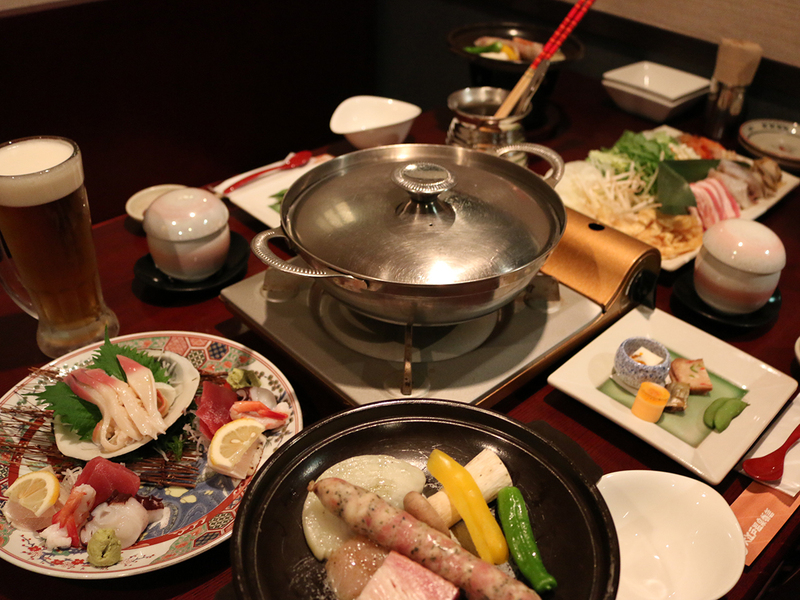 I give the food in Sendai very high marks, and the shopping was also great. 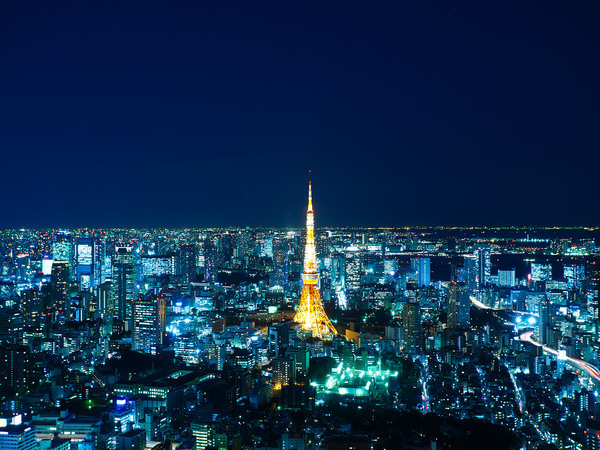 Tokyo is the recommended starting point to reach various places throughout Japan.